A Jumbo Baby Milk Bottle including an oversized plastic baby milk bottle – Ideal for a baby theme, a Comedy theme, or any fancy dress occasion! Go back to being the biggest baby with this fantastic Jumbo Baby Milk Bottle. This Jumbo Baby Milk Bottle comes complete including an oversized plastic baby milk bottle. 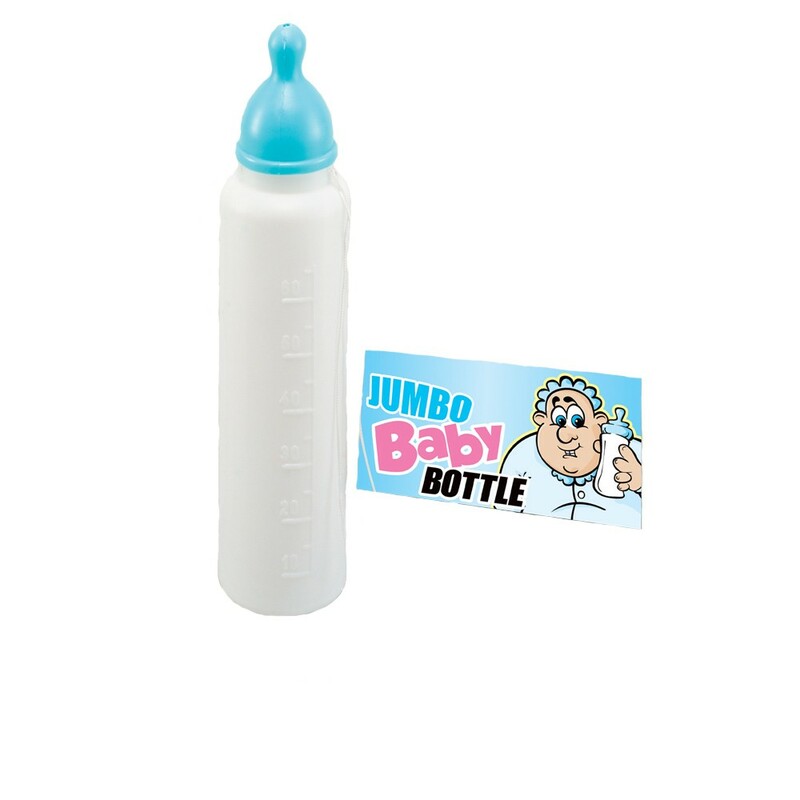 This Jumbo Baby Milk Bottle features an oversized white plastic baby bottle with engraved measurements down one side. With the coloured plastic top, this Jumbo Baby Milk Bottle will be sure to make you stand out no matter what the occasion! Perfect for a baby theme, a Comedy theme, or any fancy dress occasion, this Jumbo Baby Milk Bottle will be sure to impress. A Jumbo Baby Milk Bottle including an oversized plastic baby milk bottle.